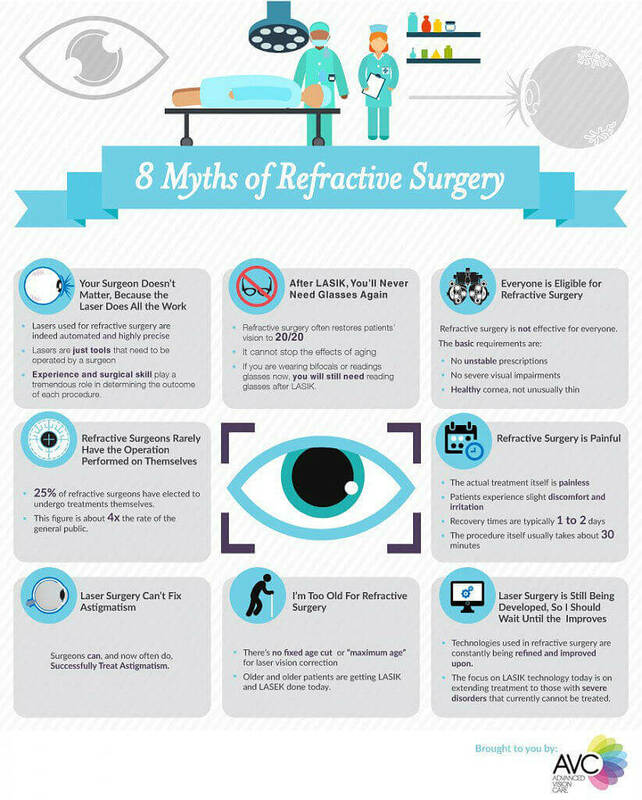 As with most things that are poorly understood, there are many myths circulating about refractive surgery. Some make the procedure sound far more dangerous than it actually is, others far more miraculous. A few are even downright ridiculous. So before you elect for eye surgery, it is important to know the facts. 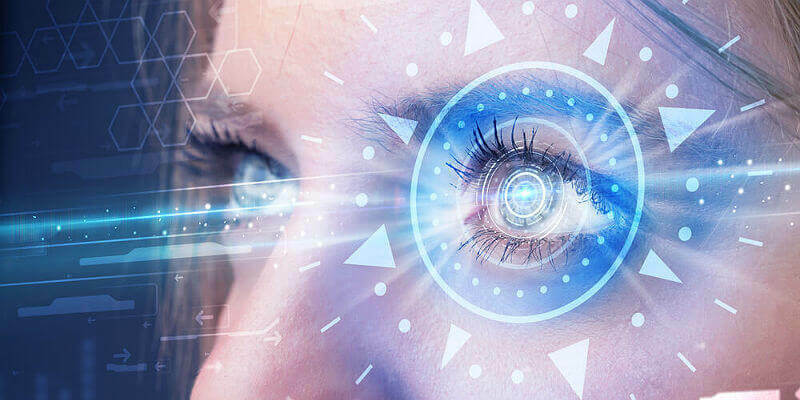 Truth: While the lasers used for refractive surgery are indeed automated and highly precise, they are still merely tools used by the surgeons who perform these operations. So experience and surgical skill play a tremendous role in determining the outcome of each procedure. Truth: Refractive surgery often restores patients’ vision to 20/20, but it unfortunately cannot stop the effects of aging. As patients get older, their vision inevitably begins to deteriorate along with the rest of their bodies. So former LASIK patients (just like everyone else) often need reading glasses when they get older. Truth: Unfortunately, refractive surgery is not effective for everyone. So those with unstable prescriptions, severe visual impairments, or unusually thin corneas are often ineligible to receive treatment because of the high risk of failure or serious complications. Truth: A recent survey by the American Academy of Ophthalmology found that 25% of refractive surgeons have elected to undergo treatments themselves. This figure is about 4x the rate of the general public. Clearly, refractive surgeons have faith in the value and safety of the procedures they preform. Truth: In fact, refractive surgery is surprisingly painless. Patients can experience slight discomfort and irritation, but recovery times are typically about a day or two, and the procedure itself usually takes about a half hour. Refractive surgery is quick and painless. Truth: Recent advances in refractive technology mean that surgeons can, and now often do, successfully treat astigmatism. Truth: Assuming your prescription is stable, there is no fixed age cut off for refractive surgery. As the health of the general population increases, older and older patients are getting LASIK and LASEK done today. Truth: Of course, the technologies used in refractive surgery are constantly being refined and improved upon. But today’s focus is on extending treatment to those with severe disorders, whom currently cannot be treated. So advances in the near future are unlikely to have much impact on the procedure that most patients receive today. What’s more, laser eye surgery is an investment in sight without lenses, so the sooner you have it done, the longer you will be able to reap the benefits of that investment before age begins to catch up with you. If you are considering laser eye surgery, don’t allow yourself to be fooled by myths and misconceptions. Do your homework, get the facts, and use them to make an educated decision about whether or not refractive surgery is right for you.